PC Final Fantasy VII released for PS4 to coincide with the Final Fantasy VII Remake gameplay shown at PSX (The 2015 PlayStation Experience Expo), allowing fans and RPG gamers to get a taste of the higher-res version of Final Fantasy VII, that was originally released for PC in 1998 (a year after the PS1 version) and for Steam in 2013. Here is an old graphics comparison between the PC & PS1 versions (from 2012). The PC version of Final Fantasy VII on PS4 will cost $16, but if you buy it before December 12th, you’ll be able to pick it up on sale for only $11. 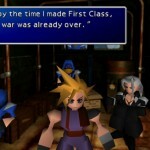 This version of Final Fantasy VII also includes Trophies, which are the same as the PC’s Achievements, but a first for a console version of Final Fantasy VII! The PC version features “enhanced” music, cleaner dialog boxes, runs in higher-res, and includes a few grammatical fixes & changed lines from the PS1 original. 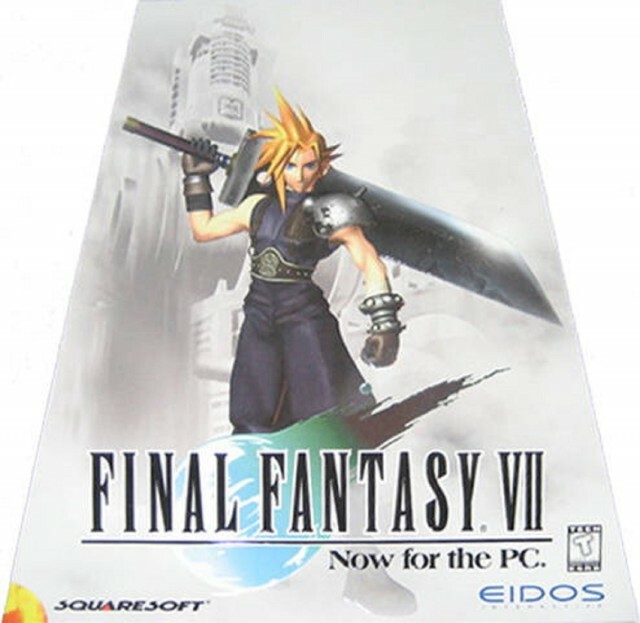 The original Triangle Box PC version of FFVII. * Battle deadly creatures and the Shinra empire in this state-of-the-art “real time” turn-based battle system. 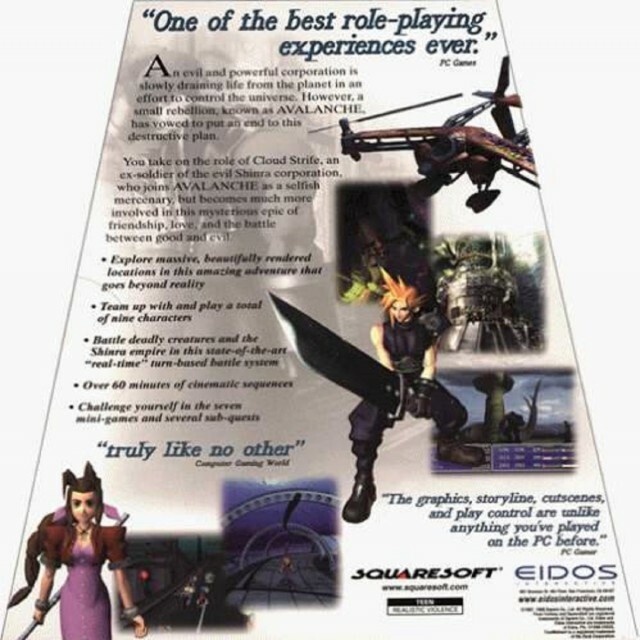 Back of the triangle PC box of FFVII. In my opinion, the PS1 versions blurrier graphics add personality, and the PS1 version has a vastly superior soundtrack (I feel the same way about the PC versions of Turok; the N64 versions had more pow). When they enhance it, they tend to make it sound off. I also found that the original console versions pack a stronger punch in their sound effects than the PC version. Either way, the changes are fairly minimal for anything but diehards, and probably will be worth playing through just for the Trophies alone (if you are into that sort of thing). It’s great to finally have the PC version on console. Hopefully Final Fantasy VIII will follow suit! 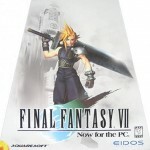 Here’s the PC Final Fantasy VII image gallery. Back in the day on PC! 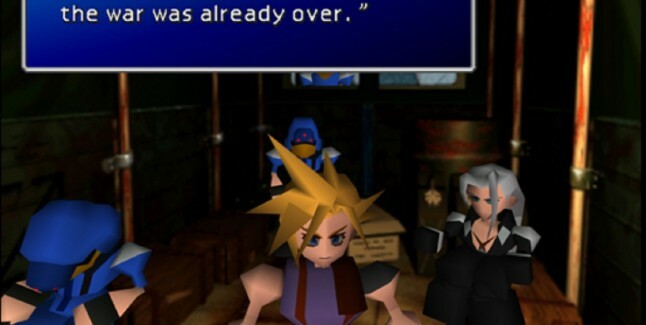 Do you think you’ll be picking up the PC version of FFVII on PS4 to relive the classic masterpiece?